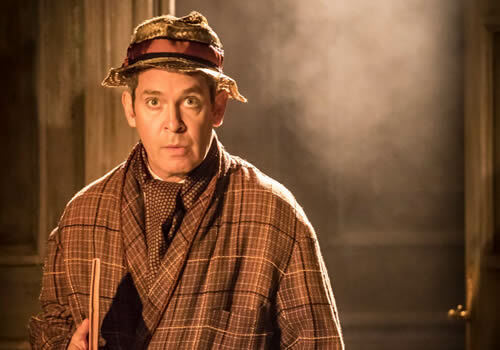 Tom Hollander stars in the Menier Chocolate Factory transfer of Tom Stoppard’s Travesties, opening in the West End in February 2017. 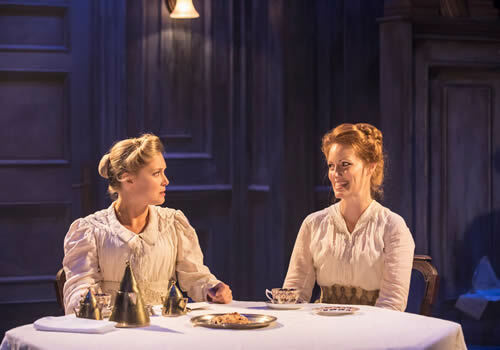 After a sell-out season at the off-West End venue, Patrick Marber’s revival of the comedy earned rave reviews from audiences and critics alike. Travesties plays at London’s Apollo Theatre for a limited run from February 2017. Acclaimed British actor Tom Hollander stars as Henry Carr. Well-known for his appearances both on and off screen, notable performances including A Flea in Her Ear, The Threepenny Opera and The Judas Kiss. Hollander is perhaps best-known for his work in film and television, including Doctor Thorne, The Night Manager, Rev., About Time and Pirates of the Caribbean. 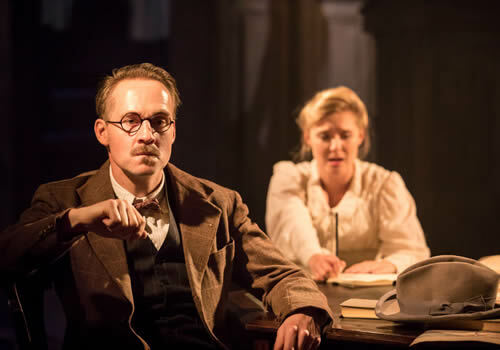 Casting includes Amy Morgan as Gwendolen, Clare Foster as Cecily, Freddie Fox as Tristan Tzara, Forbes Masson as Lenin, Sarah Quist as Nadya, Peter McDonald as James Joyce and Tim Wallers as Bennett. 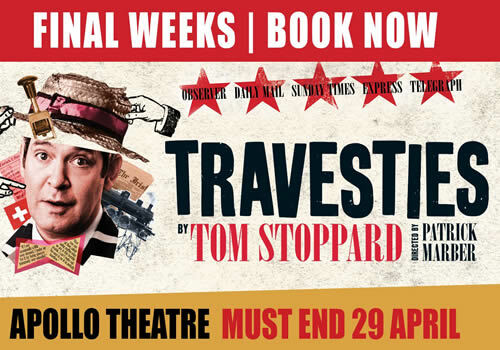 First opening in London in 1974 before transferring to Broadway, Travesties was originally directed by Peter Wood, earning the Evening Standard Award for Best Comedy and Tony Award for Best Play. Patrick Marber (Closer) directs the revival at the Apollo Theatre, with further creatives including design by Tim Hatley, lighting design by Neil Austin and sound design and original music by Adam Cork. 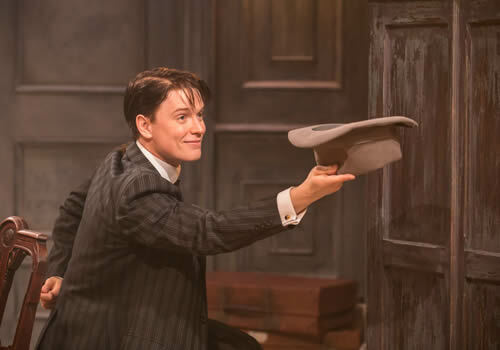 Written by award-winning playwright Tom Stoppard, Travesties is one of his many plays that has been seen on the West End, including The Hard Problem, The Real Inspector Hound, Arcadia and Shakespeare in Love. Rip-roaring comedy Travesties runs at the Apollo Theatre London from February 3rd to April 29th 2017.